The Supreme Court allowed an extension for the fourth time in the deadline to wind up cases against the Sharif family. The top court gave the accountability court another six weeks to complete the proceedings. The trial began in September last year. On Monday, the accountability court requested the apex court for an extension in the deadline. A two-member bench, headed by Chief Justice Saqib Nisar and comprising Justice Ijazul Ahsan, took up the plea on Tuesday. The CJ remarked that it is said that the judiciary is committing injustices. “What kind of a service is being done to the nation with such statements?” he asked. In 2017, the Supreme Court disqualified then PM Nawaz Sharif from holding public office. The corruption watchdog, NAB, filed three references against the former PM and his family. 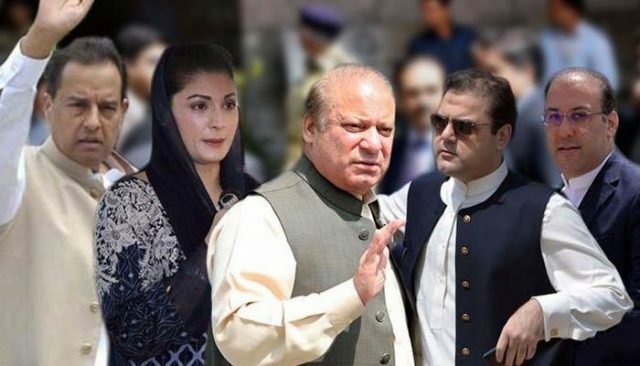 On Friday, the accountability court awarded 10 years to Mr Sharif, seven to his daughter and a year to his son-in-law in the Avenfield reference. The remaining cases pertain to the Al-Azizia Steel Mills and Hill Metal Establishment, and offshore companies including Flagship Investment Limited. The counsel for the Sharif family, Khawaja Haris, said that he has maintained from day one that all three references must be decided together. He said that judge Muhammad Bashir should not hear the remaining cases after the Avenfield verdict. According to him, the cases should be transferred to another judge. Justice Ijazul Ahsan remarked that the evidences in the Flagship and Avenfield references are different.